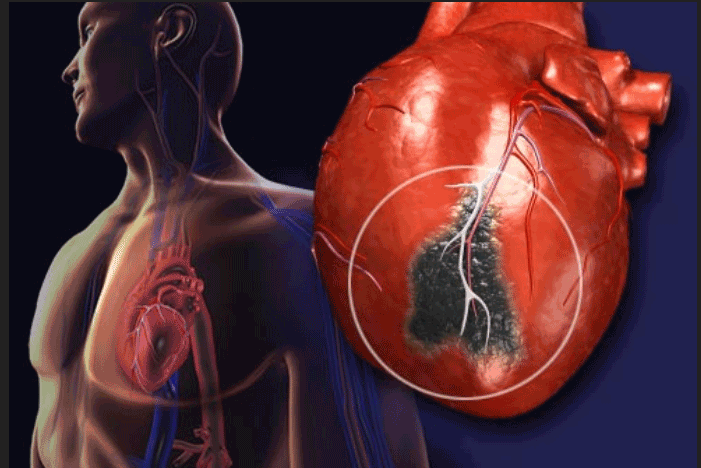 Injectable gel used to prevent heart failure in animal model after heart attack. During a heart attack, clots or narrowed arteries block blood flow, harming or killing cells within the tissue. However, the damage doesn’t end after the crushing pain subsides. The heart’s walls thin out, the organ becomes enlarged, and scar tissue forms, and if nothing is done, the patient can eventually experience heart failure. Combatting the tissue degrading enzymes that can cause lasting damage following a heart attack is often difficult as each patient responds to a heart attack differently with damage varying from one part of the heart muscle to another. However, existing treatments can’t be fine-tuned to deal with this variation. Now, a study from researchers at University of Pennsylvania develops gels that, in animal tests, can be injected into the heart to shore up weakened areas and prevent heart failure. The study was presented at the 252nd National Meeting & Exposition of the American Chemical Society (ACS). Previous studies show that for heart attack patients, the first priority is restoring blood flow to the heart. What’s neglected, however, are the secondary effects that occur after a heart attack, including what’s known as ventricular remodeling. Remodeling is a phenomenon that ultimately changes the overall shape and performance of the heart due to the natural enzymes released as part of the inflammatory response to injury. When this response is sustained too long, the enzymes begin to break up the extracellular matrix inside the muscle tissue that makes up the walls of the heart, making it thinner and weaker. A handful of labs are now experimenting with hydrogel treatments, including two materials that are in clinical trials, which are injected into the damaged tissue through a long catheter inserted through the skin, eliminating the need for open-chest surgery. The current study develops a hydrogel that is stiffer and lasts longer than a gel currently in clinical trials. The current study develops materials based on hyaluronic acid (HA), a type of sugar molecule that occurs naturally in the body. The lab modified the HA molecules by attaching adamantane and cyclodextrin groups to allow the gels to flow through catheters, and added thiol and methacrylate groups to enable post-injection cross-linking to stiffen the hydrogel. Results show that the gel is unique among hydrogels in providing mechanical support to stabilize the damaged area. Data findings show that in sheep studies, this gel limits formation of scar tissue, thinning of the heart’s walls and enlargement of the heart. Results show that by preserving the organ’s size, the gels also reduce leakage of blood through the mitral valve, and together, these benefits maintain the heart’s blood-pumping ability and could stave off heart failure. The team surmise that they have developed a material that can be applied directly to the damaged heart tissue, where the potentially dangerous enzymes break down this gel-like material, releasing enzyme inhibitors contained within. They go on to add that this responsive, balancing approach is ideal for keeping enzymes at the right level to minimize the long-term damage that can lead to congestive heart failure. For the future, the researchers state that once the hydrogel formulation and delivery method is finalized, they hope to partner with a catheter firm to bring a product to market. They note that other research groups are also designing hydrogels that contain drugs or cells that can repair heart tissue.